A world-leading authority on insurance and arbitration law has just accepted consulting role at DLA Phillips Fox, an alliance firm of DLA Piper. Professor Robert Merkin, an international expert and a lecturer at the University of Queensland and Sydney University, has been appointed as a consultant at DLA Phillips Fox in New Zealand. Merkin is also a regular speaker at the Australian Insurance Law Association. In his new role, he will advise clients of the firm on insurance and policy issues, and provide in-house seminars for clients. Although based at the University of Exeter in the UK, Merkin will visit Australasia for extended periods three times a year and will continue to provide advice to DLA Phillips Fox on live matters while in England. 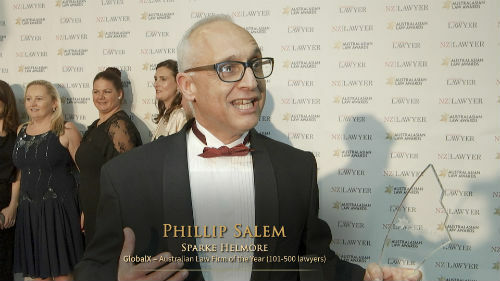 He told Australasian Lawyer’s sister publication NZ Lawyer that until recently New Zealand - which he says has similar insurance law to Australia - was a country with a small consumer-based insurance market, with many of its big insurers and brokers being subsidiaries of or associated with companies overseas. It also had a culture that favoured settling rather than litigation, and this meant its insurance law had very little impact in other jurisdictions. But that’s all changing and cases in New Zealand are now significant for other English-speaking countries, Merkin says. As a part of the DLA Phillips Team, Merkin’s goal is to provide advice on live matters, as well as undertake training on insurance law for the firm’s lawyers and clients. And with strong connections to the insurance markets in both England and Hong Kong, he will also do his best to bring work to the firm wherever he can. More generally he hopes to add to the knowledge of insurance law by speaking at professional conferences. “I hope to be able to make this vitally important subject better known in academic circles, and to increase knowledge of it in professional and market circles,” Merkin says. His interest in insurance law was ignited after taking the subject as part of his masters’ degree. At that time the law wasn’t particularly well developed and neither Australia nor New Zealand had adopted the reform measures which are now in place, he said.